Lead by public artist and Global Mosaic Project Founding Director Laurel True, this four-day, content-rich workshop will focus on methodology and techniques for approaching community-based mosaic projects with participants of all ages and skill levels. True has facilitated projects with communities in the US, Haiti, Africa, Mexico, Europe and Central America. She presents her knowledge and experience in an accessible way, using project examples and sample pedagogy gleaned from almost 25 years facilitating community mosaic projects . Global Mosaic Project Facilitator Training is designed to offer participants a working knowledge of multiple strategies for designing, managing and executing projects that leave a legacy of neighborhood beautification, art education and economic development. True lectures about the unique ways in which participants engage in mosaic-making and how collective, creative expression contribute to personal and collective well-being. True presents successful project models and pedagogy for including and training project participants in the creation of public art. Various approaches to community outreach, design development, sourcing locations and materials and recruiting project participants will be covered. Specific teacher/ facilitator training will focus on best practices for technical construction methods so that outdoor, public projects are durable, safe and long lasting. Technical resources will be included in extensive class binder. 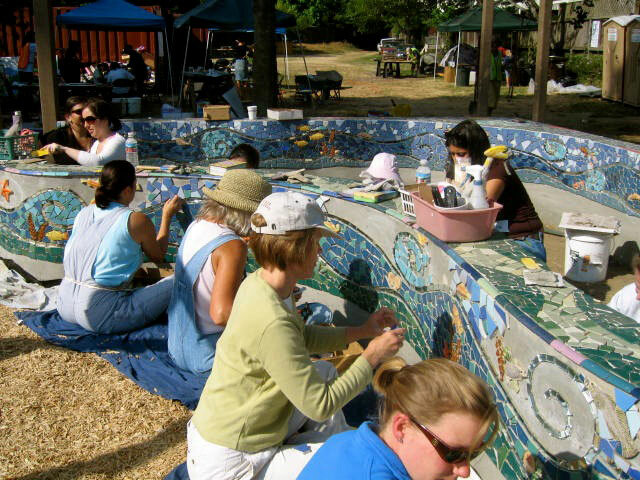 Participants of The Global Mosaic Project Facilitator Training workshop have the opportunity to experience the group mosaic-making processes through the actual hands-on creation and installation of a mosaic mural or mural components as part of the class. Class focuses on the use of ceramic tile, mirror and other recycled materials. Students will get the chance to explore various techniques, processes and strategies used by The Global Mosaic Project that focus on successful community engagement. Students will come away from this workshop with the knowledge, skills and confidence to lead and facilitate successful, permanent projects that engage and inspire community. This workshop is of particular benefit to mosaic artists who would like to add a community component to their work, teachers, community organizers and anyone interested in community development and entrepreneurial training through the arts. Grads of this training course will receive a Global Mosaic Project Facilitator Training Certificate of Completion upon class participation. Class includes a tour of Global Mosaic Projects and projects by Laurel True in New Orleans and optional, informal social/ cultural activities outside of class. Instructor Experience: Laurel True has been facilitating public and community mosaic projects for almost 25 years and has helped to provide job training and arts education to under-served communities in urban environments and developing areas. She has created hundreds of projects over the years, working with volunteers, assistants, students, trades people and artists of ages on projects that reflect a sense of community pride and cultural significance in the locations where they are sited. 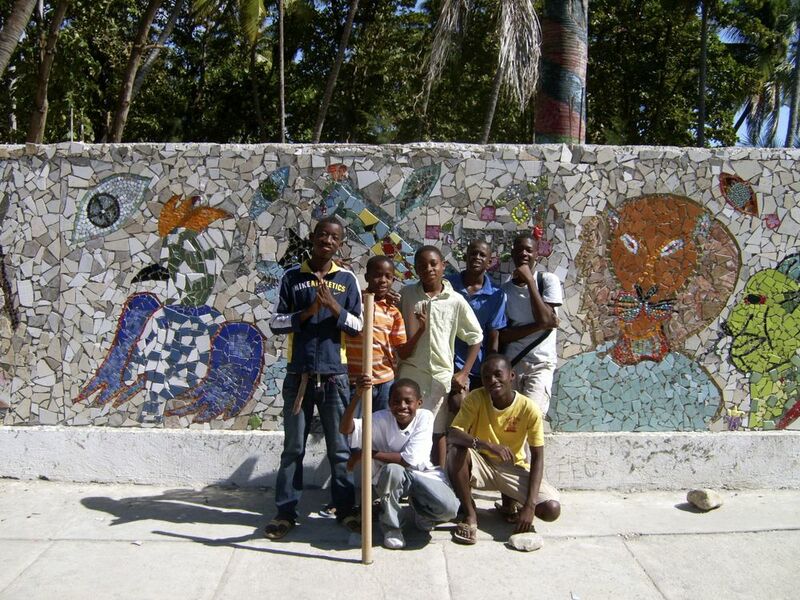 Through her organization, The Global Mosaic Project, True has facilitated community mosaic projects in the Bay Area, New Orleans West and East Africa, Latin America and Haiti.